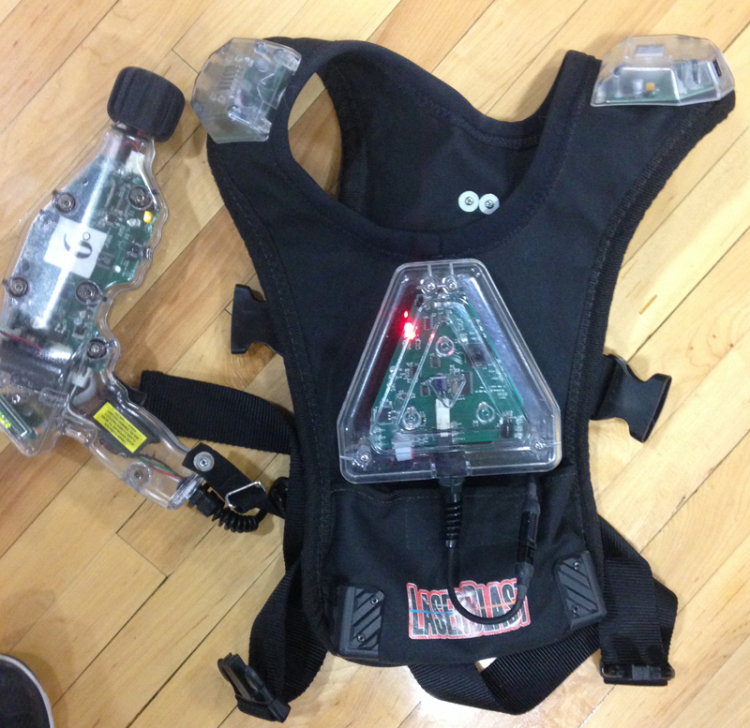 Lazer Runner Lazer Tag – Bouncers And More! Suit up for a showdown and battle it out with your friends in an interactive laser tag arena that’s filled with challenging obstacles. Perfect for kids—and the kid in all of us! It's also a great addition to any party package—from birthdays to corporate events. 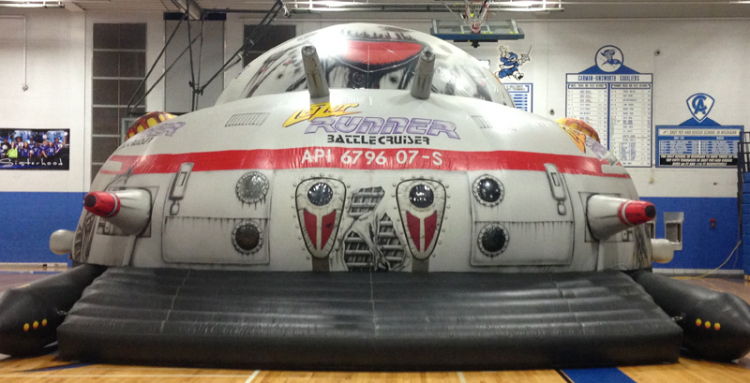 For your next big party or event, consider the Galactical Lazer Tag 35’ Interactive Inflatable maze. 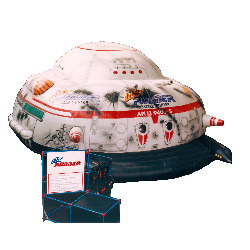 This fully-enclosed inflatable laser tag arena features 2 doors, 1 large central room and many smaller rooms to navigate through as you play. Interior doors and windows are outlined with reflective vinyl tape for clear visibility. 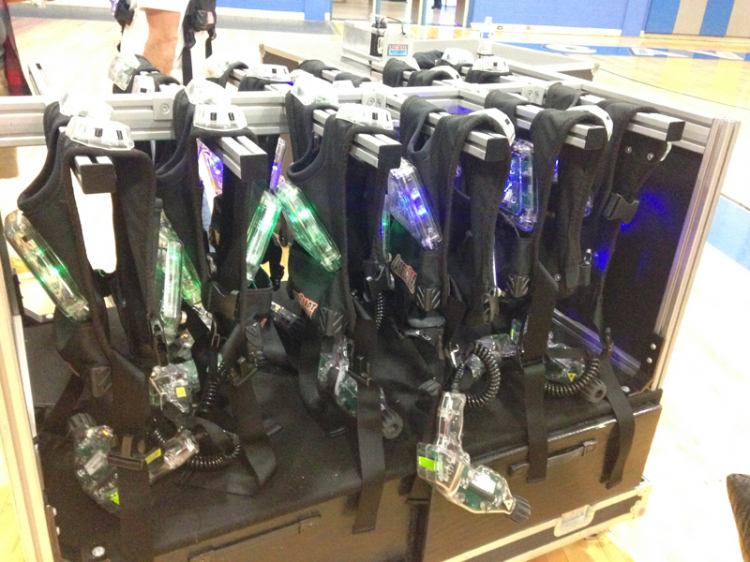 12 black lights, 9 strobe lights. Easily holds up to 10 players at one time. In addition to all of these fun features, this interactive inflatable maze arena was designed with safety and durability in mind and constructed with only the highest quality 18 oz. "lead free" materials. Good for all ages.